Here are a few more tips on how to get healthy pachyderm-style – from my elephants, Herb and Ginger. Worrying over what you did two years ago means your head is in the past, thus not allowing you to fully enjoy the moment NOW. 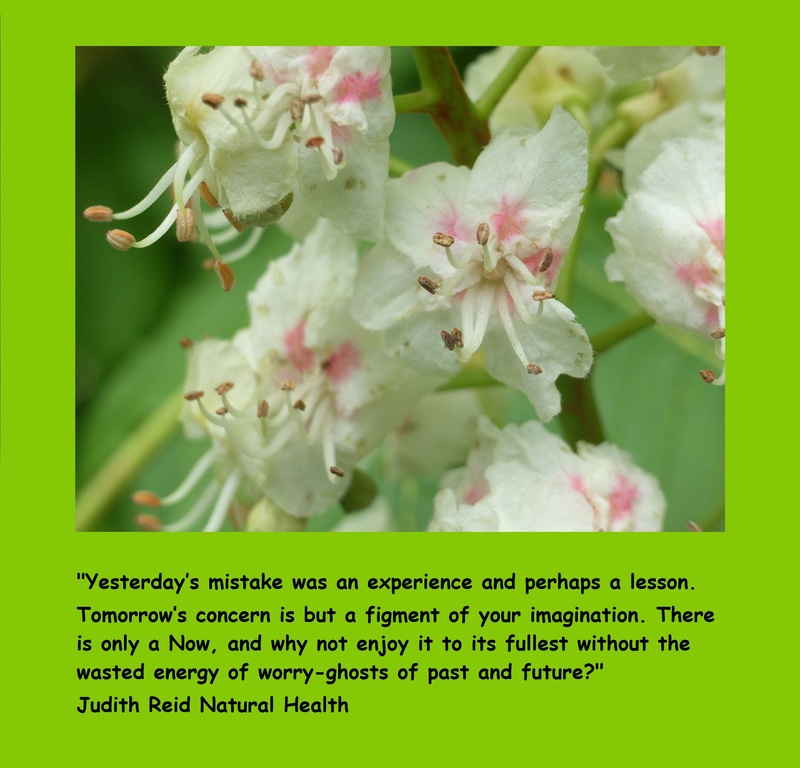 See our post about <<Living in the Now>>. Worrying also drains you and your cells of energy big time, energy which would be better used doing something positive and potentially healing today. When we do something silly, we have a good laugh at ourselves, then get on with things. When we feel that an apology is in order, we say a big SORRY, then get on with things. When asked, who she would like to be in all the world, our eldest Lily, without hesitation replied “I like being me”. We pink elephants like who we are. We appreciate that each of us is a unique creature with special qualities and gifts. We don’t wish to be something else. Nor do we compare ourselves to others. And we certainly don’t change our ways just because someone disapproves or makes fun of us. For instance, Ginger likes wearing hats. Elephants aren’t supposed to wear hats, but she doesn’t care. Be your good self. Be individual. Don’t wish your life away wanting to be someone else. 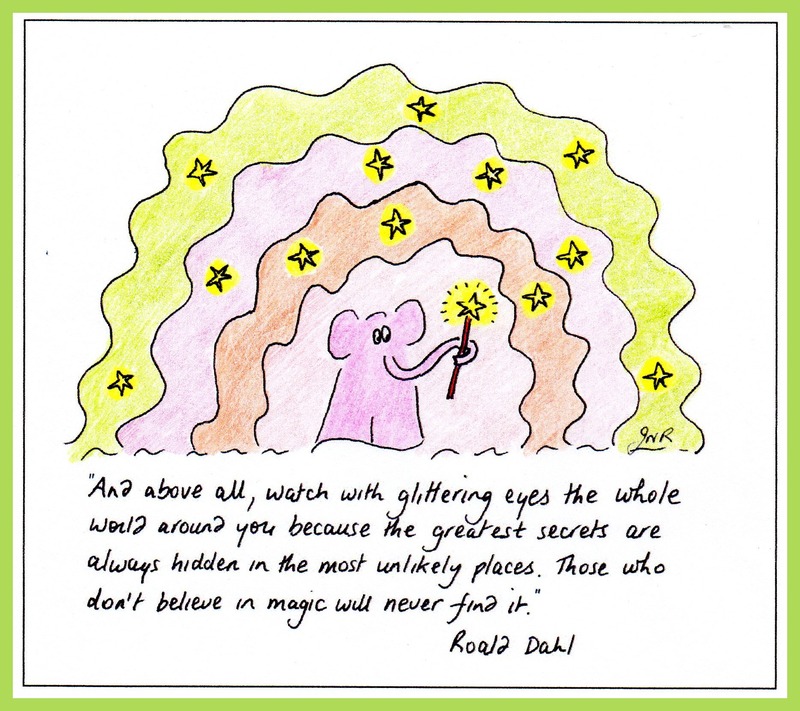 Aside: obviously you might wish to be a pink elephant. That is perfectly understandable, but let’s face it, not very realistic!! Love yourself for who you are. Don’t waste energy on any perceived negatives (e.g. not being an elephant, not being able to carry off a hat quite as well as Ginger). Instead high-five all your plus points. Enjoy being the best version of YOU. A lot of us know that we don’t eat as healthily as we could. So why don’t we change? The problem is that it seems a huge leap from current diet to shiny-new-me diet. Firstly, a lot of us do not know where to start. The information is out there, but there is so much of it. Some of it seems a little mysterious!! What on earth IS Moringa? Some of it is confusing. This book says to drink only water, but that article says that tea and coffee count. Change requires an investment of time. Time to take stock of what we are eating now, time to learn new things, time to implement changes. Oh no!! We don’t have any time!! 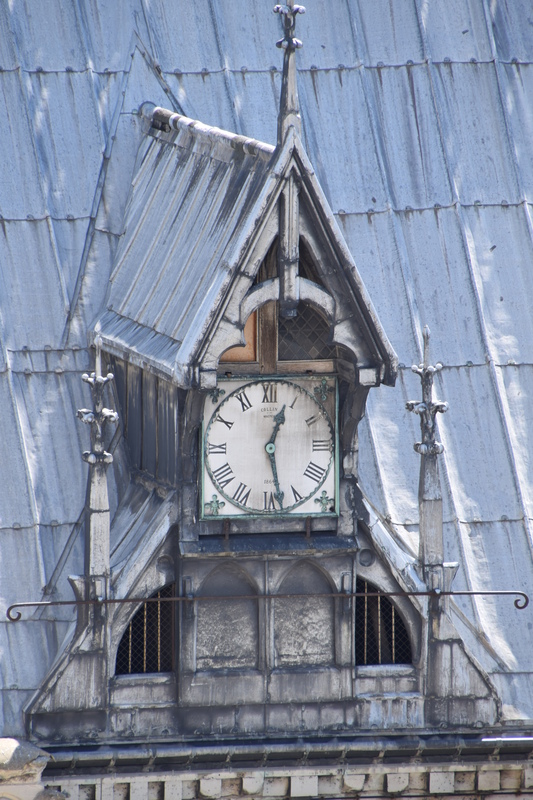 In our stressed lives, time seems to evaporate into thin air, so we don’t have time to think about change, let alone put it into practice!! It’s easier to carry on with what we know. We shop, cook and eat whilst in automatic mode. Energy is another thing in short supply!! We don’t have any spare to dedicate to change. All our energy is used up in our crazy modern living. Change needs us to press the PAUSE button, step off the crazy train and review our habits, lifestyle and diet. A change in mind-set. We often have to go outside our comfort zones, and re-educate both ourselves and our taste buds. It’s good to empower ourselves by learning new things and integrating them into our lives. A positive frame of mind. Get curious, get empowered. The other month I was in a Red Cross shop in Manchester when one of the helpers was asked “How was your lunch?” The reply: “Dreadful …….. I’m on this healthy diet.” I kept quiet though I was tempted to sing the praises of REAL healthy diets and how delicious they were. It was as if she was seeing it in black and white instead of the multi-coloured smorgasbord it could be. I suspect that part of the problem was that she was framing it in deprivation, not in curiosity and empowerment. 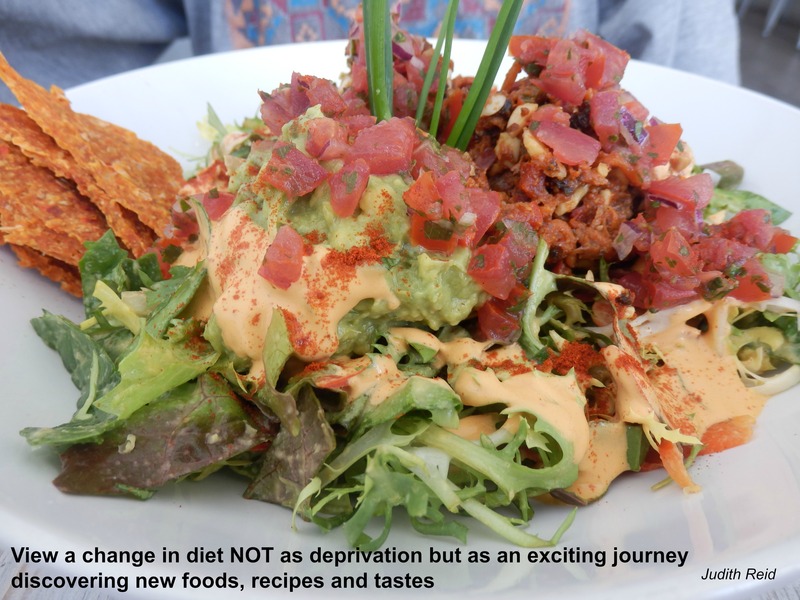 We need to view a change in diet NOT as deprivation but as an exciting journey discovering new foods, recipes and tastes. For me, eating a high raw, plant-based diet filled with a rainbow of colours each day fills me with a joy that I couldn’t get on my old diet. Can’t drink dairy? There are lots of yummy nut milks out there. Breakfast toast out of the window? Think delicious smoothies with fresh blueberries…. And so on. There are ALWAYS alternatives, and usually more delicious alternatives at that. View a change in diet NOT as deprivation but as an exciting journey discovering new foods, recipes and tastes. To be HEART-driven, not just head-driven. You need a strong DESIRE to genuinely change. Think of the last time you fell in love. Your diary was already chock-a-block, but the heart wanted what the heart wanted and somehow you magically found spare time to fit this new person into your life. That is what I mean by desire. If you REALLY WISH to wave goodbye to your high blood pressure by changing your diet, you can find a way to do it. A strong WHY. Knowing why you want to change can be a very powerful motivator. Your health and sanity depends on it. It’s easy to get sidetracked by other people’s stuff, which is often simply a way of avoiding your own issues. TIME and SPACE!! You need breathing space and physical space. Choose a time when you are more relaxed and have time to yourself. A weekend of heavy socialising is not conducive to a change. Our social circles often encourage us to stay in status quo. You need time to think before you buy, prep and eat. Making physical space may also be needed to accommodate, for example, a water filter or jars of exciting new ingredients or perhaps a bigger fruit basket. Avoid the temptation for a quick fix. Going from crappy diet to weekend detox spells disaster. Taking things one step at a time can really help. Slowly does it. Think Tortoise rather than Hare. First of all, make a small change, and make the conscious effort to allow time for it in your life. Get used to it for a week or so. After about 2 – 3 weeks, you should have it bedded into your normal daily routine, and at that point you can choose the next change on the list. Doing it slowly makes it more manageable and avoids overwhelm, and small successes each 2 – 3 weeks can encourage you to keep going. Whether it’s a 10-minute walk or drinking of 2 litres of water that you have introduced into your day, missing one day can be a slippery slope. It’s easy to slip back into old habits. Re-engage with your WHY to help you avoid this. There has to be a certain amount of willpower to help you overcome the less enthusiastic days. If you do have a bad day, however, don’t beat yourself up. Just acknowledge that it didn’t go quite to plan today and that tomorrow is another chance to get it right. As little stress as possible. If we are stressed, we move from mindful choices into automatic, and start reverting to old habits without thinking. Stress also drains our energy and enthusiasm, two things we need to keep on track. Try to identify areas of stress in your life which could undo your good work, and try to minimise (or even avoid) these stress fests. Having a dedicated notebook for scribbling down your desired changes can really help. Writing it down can be seen as a commitment to self. Reading it each morning brings it up to the conscious level afresh. Reviewing it at night helps to see progress (but see above point about being gentle with yourself). With a sparkly new day ahead, you are more likely to have the enthusiasm and energy to do what you intend early on in the day. If you want to include a daily 10-minute exercise routine, it’s best to do it first thing, rather than wait until you get home from a tiring and stressful day at work, when first thoughts turn to a flop in front of the TV and maybe a glass of wine to unwind. What a great motivator! Whether it is a change-buddy or a practitioner, it’s often useful to have someone with whom you can discuss things, share successes or confess!! I heard it said recently that most people only change when the pain of the problem becomes greater than the pain of the solution. My advice would be to make changes before there is any pain!! Make time and space in your life NOW to explore more health-enhancing and empowered ways of eating. 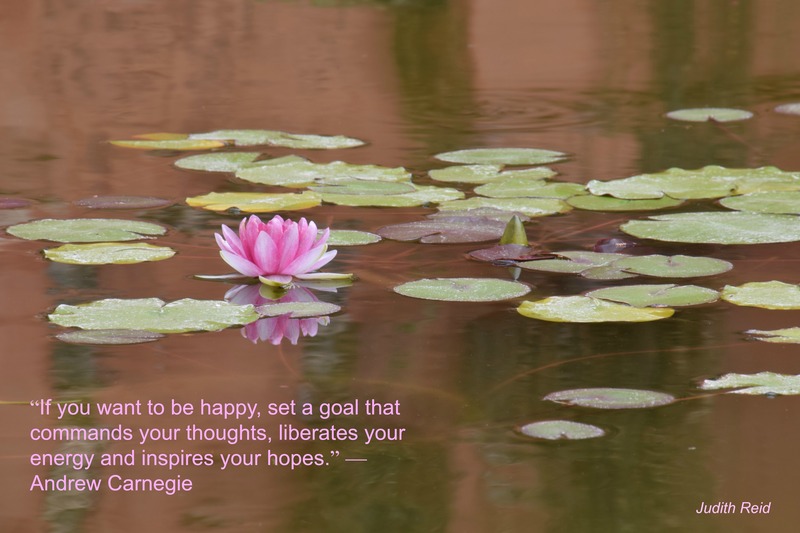 How life-enhancing are your habits? When DID chocolate become a food group in our household? I remember a time when a square of dark chocolate was a treat now and again. Whilst working in an office, it became an afternoon MUST. 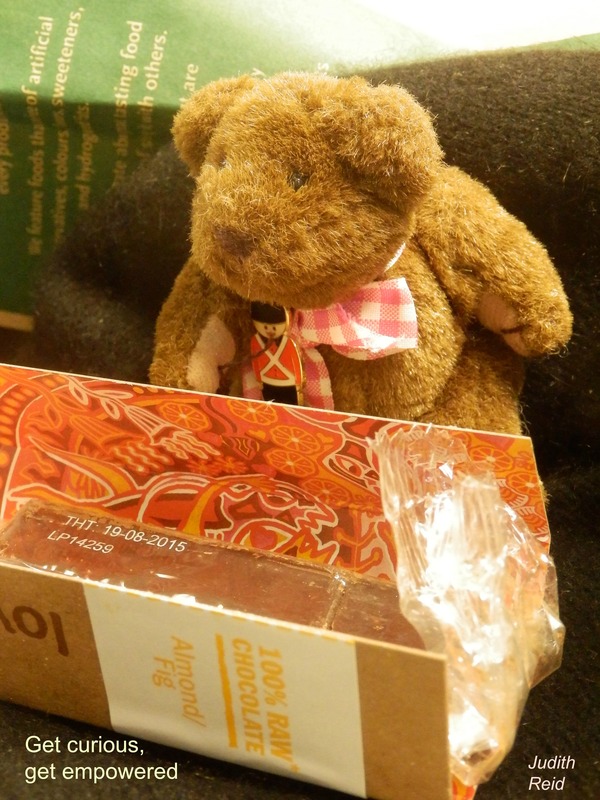 When I left to work for myself, the desperate need for it wasn’t there any longer……………..
As I tend to eat mainly raw chocolate now, there is a feeling that it’s healthy and therefore OK. Currently there is a tub of very delicious homemade raw bounty bites in the fridge (mmmmmmmmm – I loved Bounty Bars as a child). Post-lunch nibbles have become something of a ritual!! The good news is that I’m still aware of eating it. I haven’t yet slipped into the automatic mode of reaching into the fridge, eating and not realising what I’m doing. I often hear clients say that they munch their way through a packet of biscuits without being fully conscious of doing so! One moment they have a full packet in their hands. The next, there’s an empty wrapper in close vicinity. I’m not saying that raw chocolate is bad for me. I’m simply making an observation and using it to muse on how easy it seems for habits to form. The question is, why is it that the not-so-good-for-you habits bed themselves seamlessly into our lives, and yet we struggle to get past day two of more virtuous ways? Wow that’s pretty powerful stuff, but so true. To reach our potential, we need to be operating at a high frequency. We literally need to be buzzing. Buzzing with energy and enthusiasm; inspired by life; and flowing at all levels, physically, mentally and emotionally. If we are in pain, lacking energy, suffering with brain fog or just feeling down about life, we lack the oomph to get out of bed, let alone set the world alight with our gifts. Our diet is one of the biggest influences on how our cells feel, and in turn how we feel, at all levels. Having that extra strong coffee in the morning might kick start you, but over time this or any other stimulant leaves the body in deficit. This can manifest in all sorts of symptoms, but top candidates are fatigue, poor sleep (leading to yet more fatigue), headaches etc. Taking nutritional shortcuts, such as ready meals and takeaways, lower our frequency and energy further. Our cells are like batteries needing a recharge. For me, March and September are good landmarks in the diary to think about implementing a change or two (or more!). In both, we celebrate equinoxes, times of natural change. Although September doesn’t enjoy the same promise of spring energy ahead, it is traditionally the start of a new school year, with shiny new notebooks (or do children only use PCs now?). Blank pages on which to write new stories, draw new pictures, shape new lives. During the last few weeks of August, why not think ahead to September and plan some positive changes in your life. In my next blog I shall talk about how to go about making some small but significant changes. 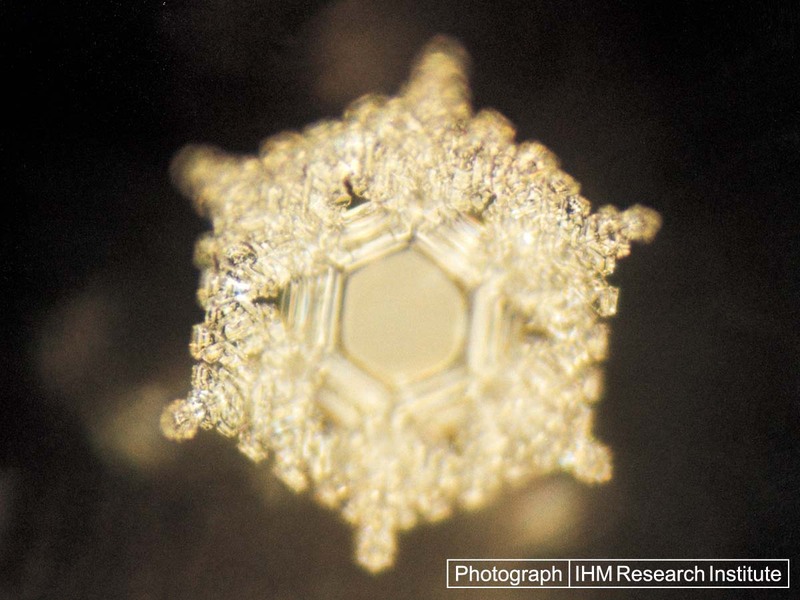 For well over a decade, Japanese scientist and researcher Masaru Emoto experimented with water, photographing its crystals, and getting some amazing results. He showed that molecules of water were affected by our thoughts and words. Sadly, Dr Emoto died last month on 17th October in Tokyo. We owe him a huge debt of gratitude for his incredible work, showing how water is deeply connected to our individual and collective consciousness. Taking samples of water from all over the world, he froze them and as crystals appeared (or not! ), took photographs. Crystals emerge for only 20 – 30 seconds as the temperature rises and ice starts to melt. In that short window of time, magic appears! Starting with TAP WATER from different locations: Tokyo water was a disaster, with not one single crystal forming. London was similar and, amazingly too, Venice. Tap water contains chlorine which destroys the structure found in natural water. Natural water from natural springs, underground rivers and glaciers produced complete crystals. Emoto then started experimenting with water exposed to MUSIC. By placing a bottle of distilled water between speakers and playing it Beethoven’s Pastoral Symphony, the result was beautiful and well-formed crystals. Mozart’s 40th Symphony produced crystals that were delicate and elegant. All the classical music that was used resulted in well-formed crystals. Heavy metal music, however, resulted in fragmented and malformed crystals at best!!! The next experiment was to see how water reacted to WORDS or PHRASES written on paper and wrapped around the bottles with the words facing in. Sounds crazy? Well amazing things happened!! “Thank you” formed beautiful hexagonal crystals. Water exposed to “Fool” produced crystals similar to the water exposed to heavy-metal music, malformed and fragmented. Water exposed to positive expressions created attractive well-formed crystals. Negative expressions resulted in barely formed crystals, if any at all. PRAYERS have a similar positive effect. The transformation from frozen water photographed before and after a prayer was offered to it, was truly amazing: from deformed structures to beautiful well-formed crystals. Each of our cells 🙂 🙂 is made of 70 – 80% water. First of all – do you want to refresh your body with tired, lifeless, polluted water, which can barely muster enough energy to form a crystal? Or would you prefer vibrant, clean water? Secondly, if positive and negative words and emotions can have such a profound effect on water, just how are they affecting our cells 🙂 :), which are made up of so much water? It matters how we talk to ourselves and to others; it matters too that we don’t hold on to negative emotions. Words and emotions have the power to create beauty or to destroy; they have a profound effect on our overall wellbeing. Be very careful with your “cell-talk” or self-talk. Forget the gym. Take a brisk walk and get some fresh air in at the same time. Energy creates energy!! You’ll get your circulation moving better, which means more oxygen delivered to your cells (they can breathe better then). On a similar note, deep breathing works wonders. This increases oxygen in and carbon dioxide out. In with the good, out with the fatigue-inducing waste products! Look at your diet. Crap in = feeling crap and more often than not, a wobbly blood sugar problem!! Eat a nutrient-dense diet, rich in Magnesium and B-vitamins. Think greens and whole foods. These help to boost energy levels. Look at your iron levels too. Anaemia can sometimes be at the bottom of constant tiredness. Try a gentle detox. 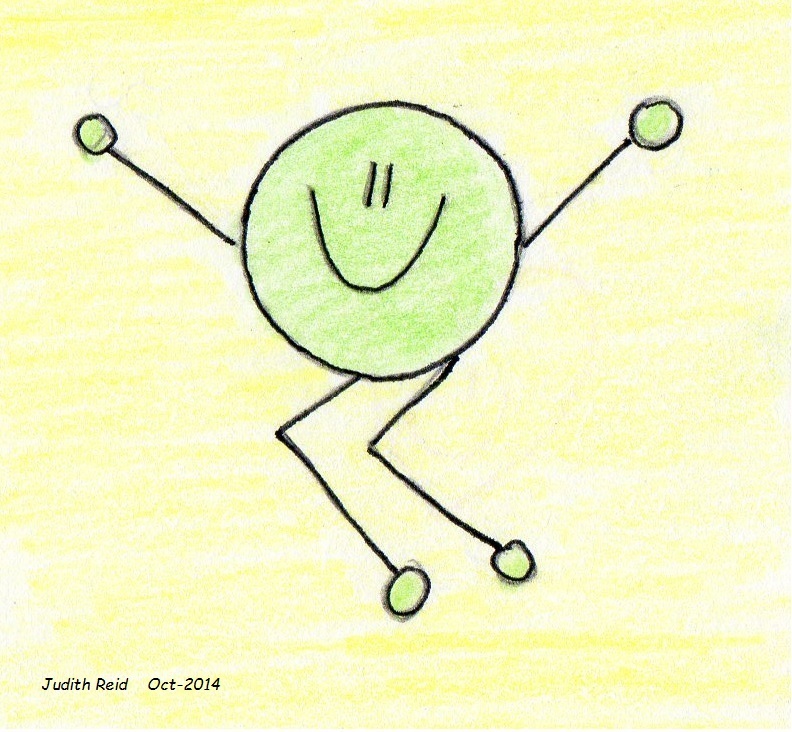 If your cells are full of rubbish, they will feel bogged down and lacking in energy. Spring and summer are the best times to do this, but a gentle clean up of eating habits can be tackled at any time of the year. Avoid quick fixes such as sugar / caffeine / cigarettes. When our energy is on the floor, it’s all too tempting to reach for a coffee, chocolate bar, or – if so inclined – a ciggie, but all you do is spike the blood sugar, get a quick high and then flag immediately afterwards, making you want yet another quick fix. 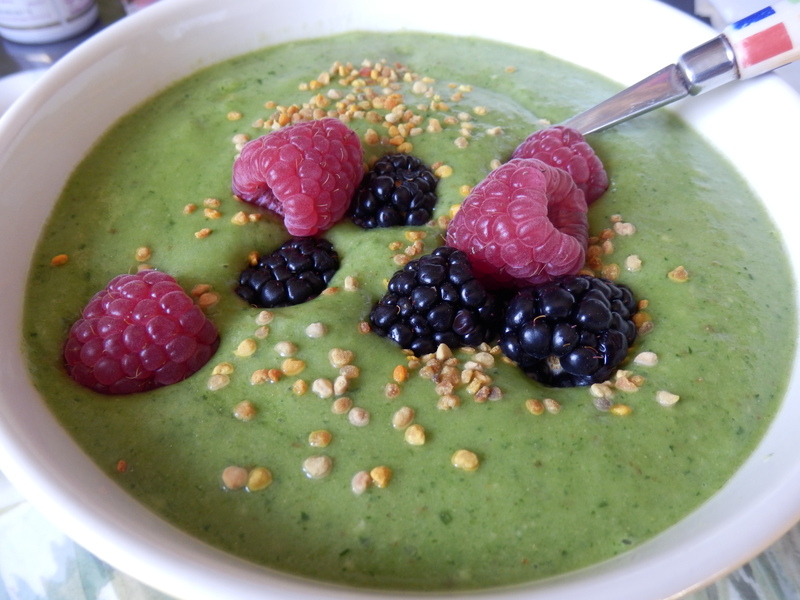 For a healthy quick fix, what about a green smoothie? Try blending a pear with a little water, a banana, a handful of green leaves, half an avocado and some water. Yumdicious and helps to boost your energy in a balanced sort of way. It’s hydrating, has healthy fruit sugars, which are balanced out by greens and protein, thus avoiding the blood sugar spikes that you get when you use stimulants. Step off the crazy train. Move away from the stress. Your energy is going into defence mode rather than nurturing you. Even if you are only stressing about being late for a meeting, your cells think it’s a life-and-death situation and go into the full fight-or-flight mode. This is HUGELY depleting to your energy supplies. Tackle any emotional issues. These are draining. You could be afraid of spiders or anxious about a relationship. Whatever it is, you are either investing too much energy into thinking about it or trying to keep it at arm’s length. Either way, too little energy is left over for your cells to feel energised and vibrant. 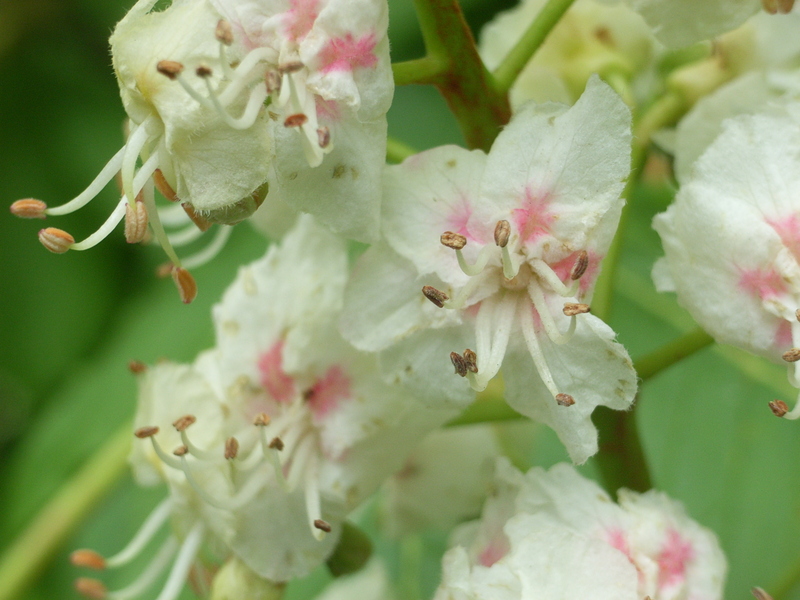 Perhaps try some flower essences or EFT to help with any emotional issues. Give your digestion some much needed TLC. If it’s sluggish, then you will be too. Ensure that you include water and fibre in your diet, and taking a good pre-probiotic is always a good idea too. Connect with nature. 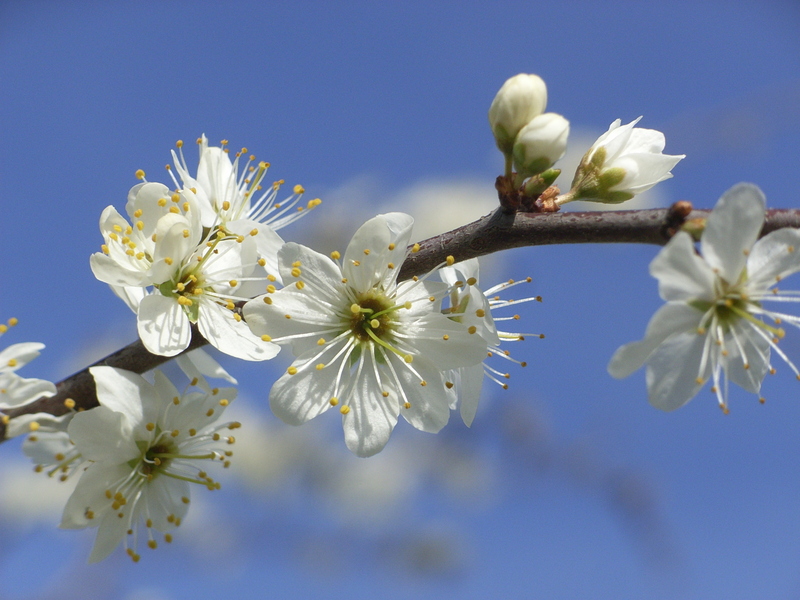 Brisk walks aside, just a nice meander in the countryside or sitting in the garden (with perhaps bare feet on grass), and especially in some nice sunshine, can help re-energise you. Give your liver some TLC. Fatigue can often be a sign of a stressed liver, and as alcohol puts a huge strain on it, it’s a good idea to go teetotal for a while to give it some much needed respite. Are your cells being frazzled by EMFs (Electro Magnetic Frequencies)? Mobile phones, PCs, microwaves, and other mod cons could well be draining you of energy. We all live in a smog of EMFs, so it’s not easy to avoid, but try taking a look at ways to protect yourself. Consider, too, magnetic deficiency. Our Earth is a giant magnet and, as creatures of nature, we can draw on this magnetic energy to help recharge us (a bit like a mobile phone recharging). Unfortunately, the Earth’s magnetic field is at an all-time low right now and, just to make matters worse, most of us are insulated from this natural energy (we spend a silly % of our days INSIDE a building / car). Look into magnetic technologies to help give your cells a boost. Yesterday, a friend posted on Facebook about the soon-to-be increase in first class stamps from 46p to 60p, thus inviting a few, not too surprisingly, negative comments (including from me!). These were, however, nicely rounded off by a very enlightened lady, with “What a bargain, I wouldn’t like to deliver them myself”. How lovely – a positive slant! I certainly wouldn’t want to have to trail up to Manchester or Glasgow or wherever every time I wanted to send a card or letter. In the grand scheme of things it IS actually a bargain. This came on the tail of a couple of challenging days for me. I had been to a new dentist on the Monday morning and had been found wanting in the brushing department let’s say!! It hadn’t been a pleasant experience; the dentist’s delivery lacked empathy; I felt railroaded into a dental plan a mile long, and I came away shaken, tense and feeling quite angry. Several Bach Flower remedies and some meditation later, I could see the hidden blessings / lessons within! It has made me realise I needed to be more mindful of my brushing in future and that I would feel happier working with a holistic dentist going forward. Quite a bargain – TWO positives coming out of an “awakening” experience. It is not always easy to see the positive in something immediately. It can take time to find the proverbial silver lining of every cloud. Sadly, we live in a negative culture. There is almost an enjoyment in finding fault and a denial in celebrating positives. Complaining is infectious. Negativity holds tension within each of the cells in our body and drains us of far too much energy, energy which would be far better used in repairing, cleansing and nurturing our cells so that our health could be the very best that it can be. Changing the way we look at a situation can help raise a smile (it certainly did for me when I imagined myself in a traffic jam on the M25 trying to deliver a single letter, d’oh!! ); it can release tension and make us grateful for all the blessings we do have. As a result we can feel lighter and more energetic, and that energy can go towards nurturing each and every one of our cells. Now that’s what I call a silver lining! !